Most people have heard that riding horses can be expensive and it’s true that it’s hard to find a place that is educational, safe and affordable for your horse. But the costs don’t have to be outrageous. We have broken down the costs into three areas: Boarding, Training and Showing. Prices on the following items may vary, but only by a few dollars. For instance, the amount for hauling may depend on the distance; the groom payment may depend on the length of the horse show and naturally the horse show charges vary depending on the kind of show and the show management company. 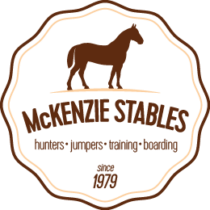 Join Oklahoma’s best hunter jumper facility. The best training from short stirrup to Derby and Grand Prix! Contact Laureen to find out more.